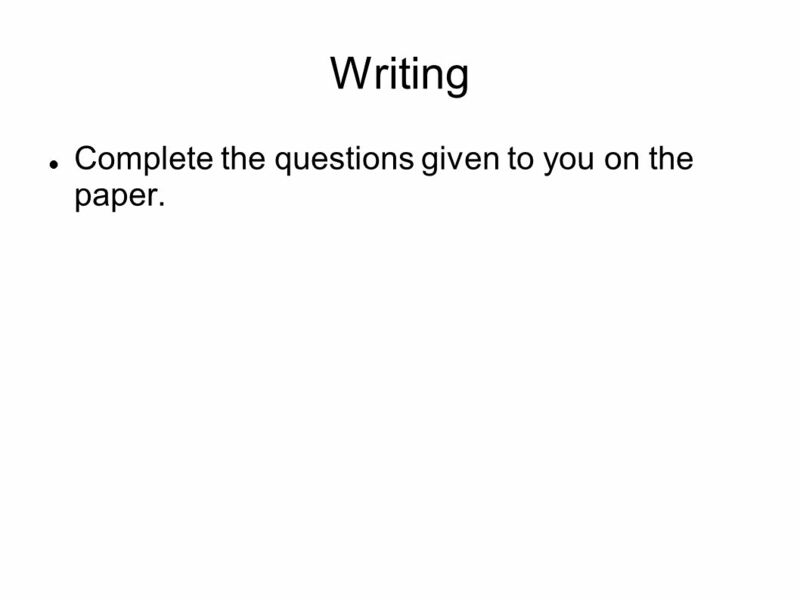 2 Writing Complete the questions given to you on the paper. 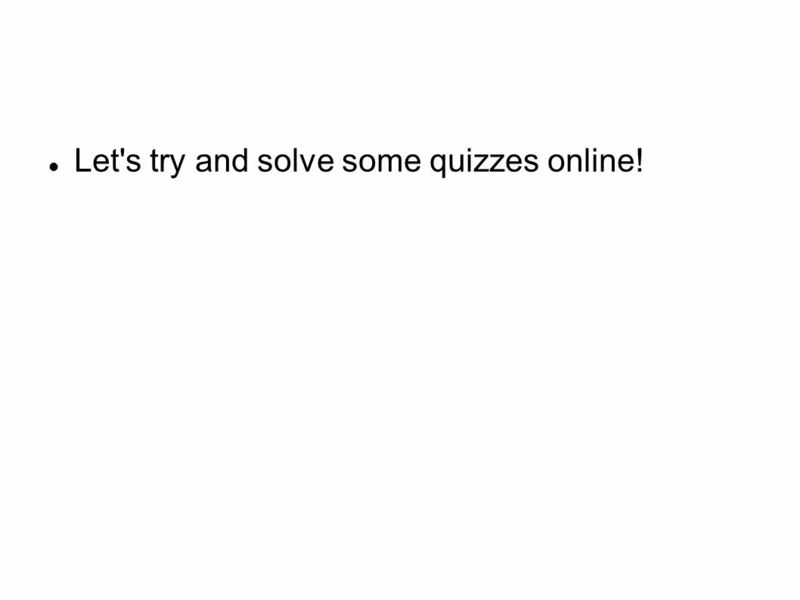 8 Let's try and solve some quizzes online! 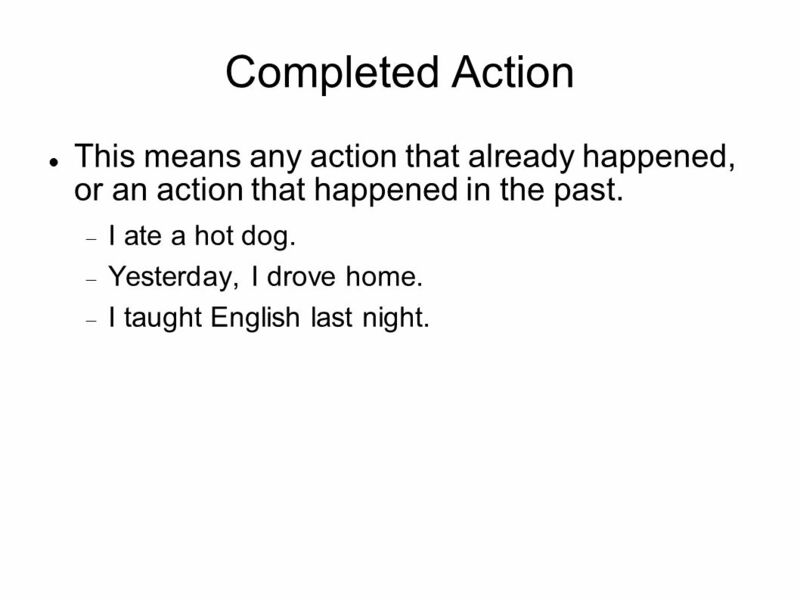 10 Completed Action This means any action that already happened, or an action that happened in the past. I ate a hot dog. Yesterday, I drove home. 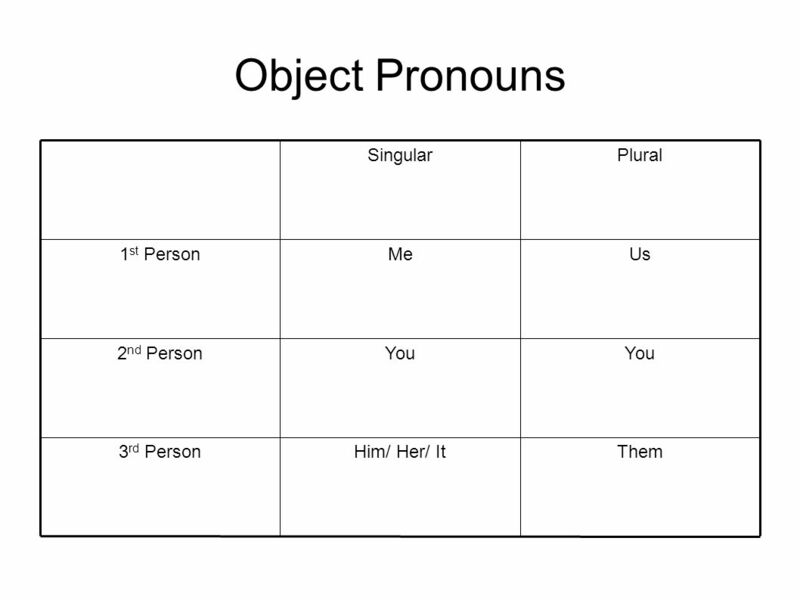 I taught English last night. 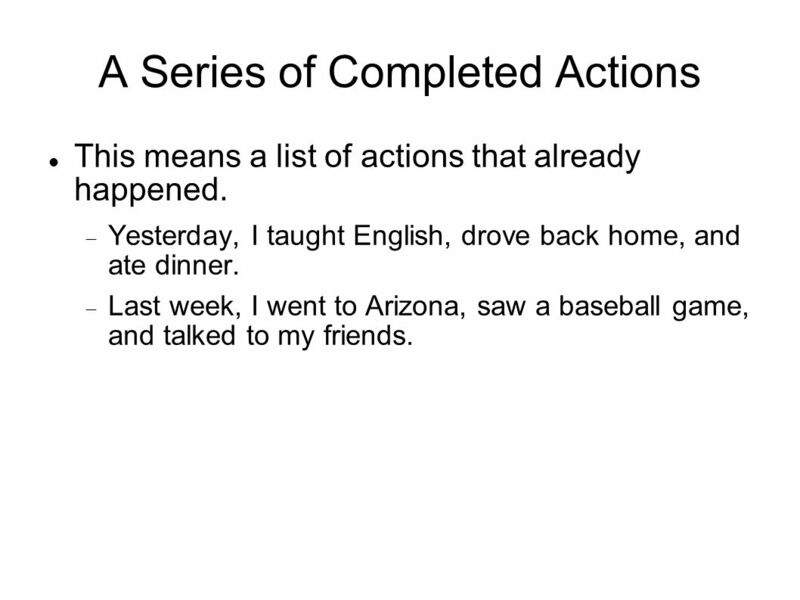 11 A Series of Completed Actions This means a list of actions that already happened. Yesterday, I taught English, drove back home, and ate dinner. Last week, I went to Arizona, saw a baseball game, and talked to my friends. 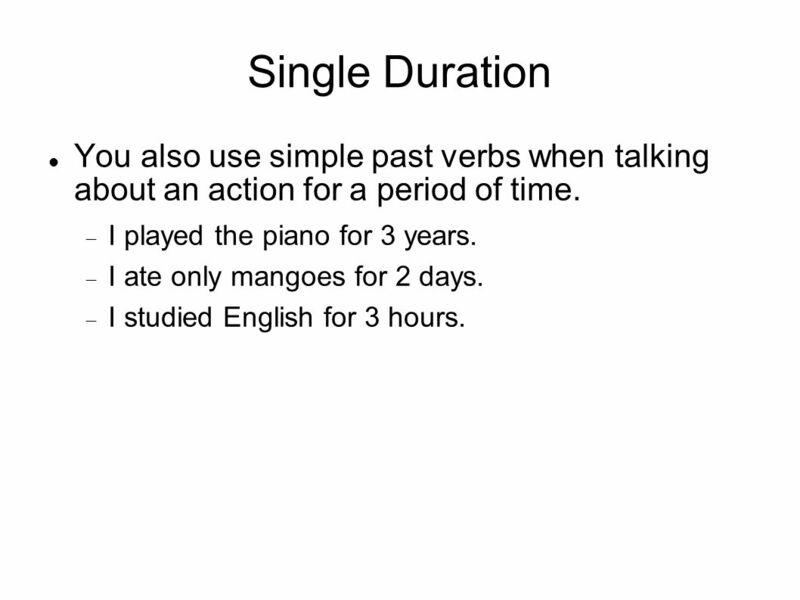 12 Single Duration You also use simple past verbs when talking about an action for a period of time. I played the piano for 3 years. I ate only mangoes for 2 days. I studied English for 3 hours. 13 Habit in the Past Usually an action that was done, but not done anymore. I played basketball when I was younger. I chewed on roaches when I was a baby. She smoked a lot when she was a teenager. 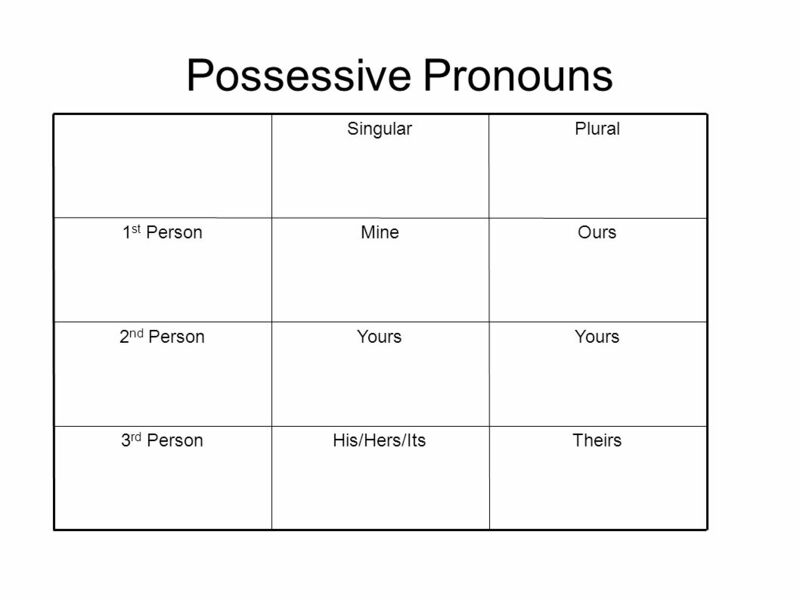 Download ppt "English Class 3:30-5:00 Writing/Review/Grammar/Games." 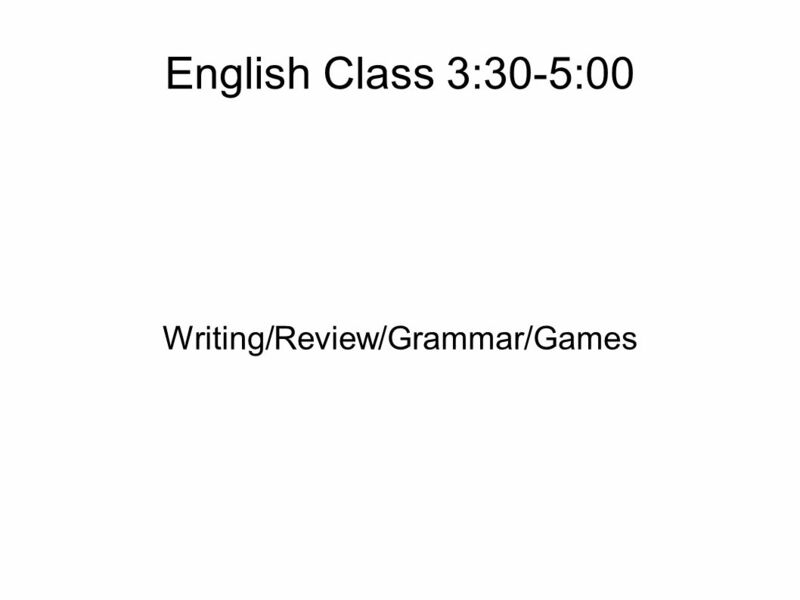 English Class 3:30-5:00 Writing/Review/Grammar. Clementine Let's look over the questions and answer them together. 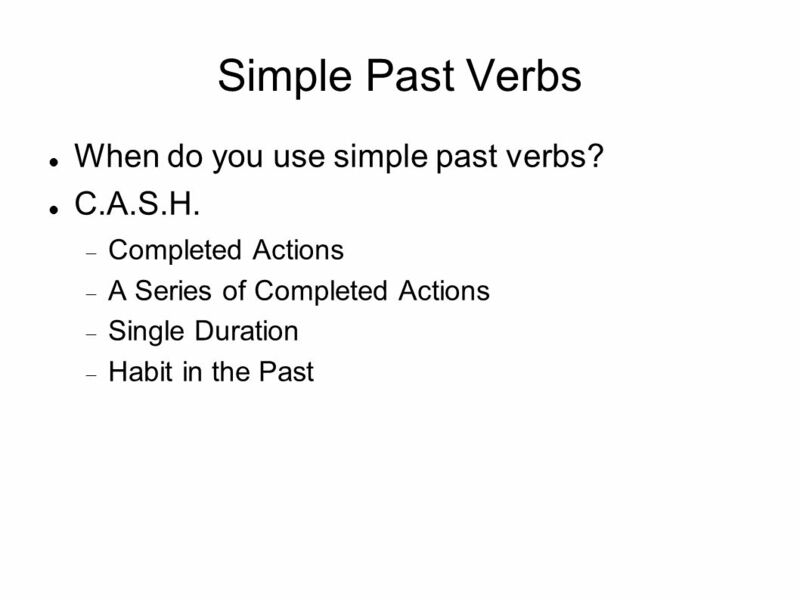 Simple Past Tense Using the simple past. 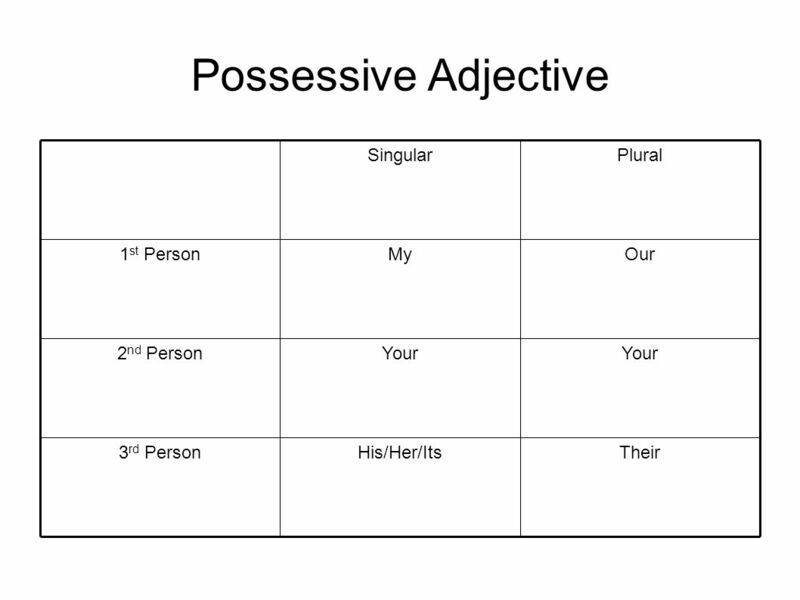 The Past Simple 4º E.S.O. Grupo DONOS 2008. 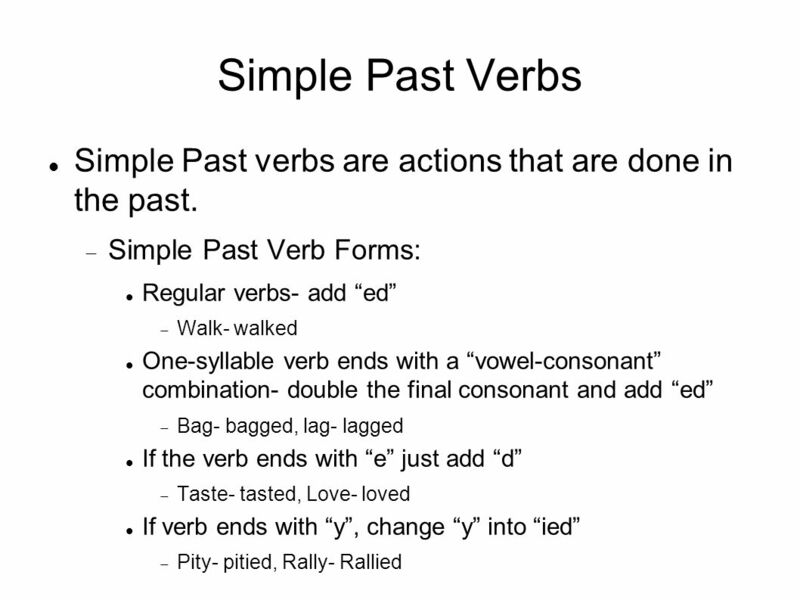 Simple past Mr. Armando Garriazo.. Simple past tense Richard Ortega. Grammar Quickies Verb Forms Jean Ghadiri Oakton Community College.